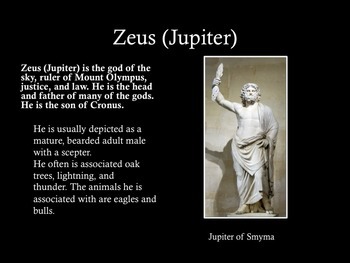 Mythology! 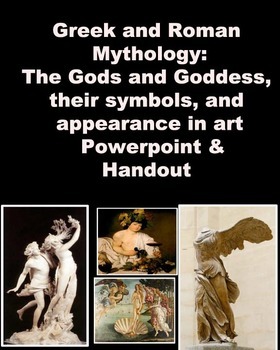 Need a good PowerPoint and hand out that outline the key figures in Greek and Roman mythology? Then look no further! Mythology: Greek/Roman will provide you with your needs when teaching mythology literature, art history,world history, and art. A. The 12 Olympian Gods and Goddess(With Roman names)- each god's appearance is described, animals they are associated with, their relationships, and symbols they are associated with. F. Monsters and Creatures- 10 of the most important creatures or monsters from Greek and Roman mythology. B. 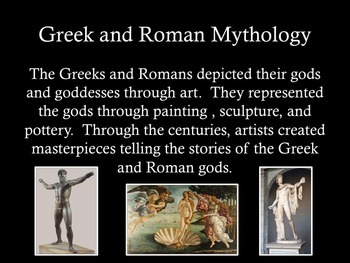 Images of the Greek and Roman gods from ancient times and throughout art history. C. A few of the lesser gods that appear in mythological art. Mythology is a hugely popular subject in art and histroy. Use this resource to help students identify mythological figures when viewing art or reading about mythology. Are you teaching about the Ancient world? Use this resource to help your students better understand the Greek/Roman Pantheon especially when they view works of art. Use this when studying the great Greek and Latin works. It is a great , quick guide for students! Architecture - Greek PowerPoint and handout is a great instructional resource for the art teacher, art history class, or ancient/world history teacher interested in teaching about Greek art and culture. Included in this PowerPoint AND handout is an overview of the key developments in Greek architecture. Greek Art and Architecture has been an incredible influence in Western Art. 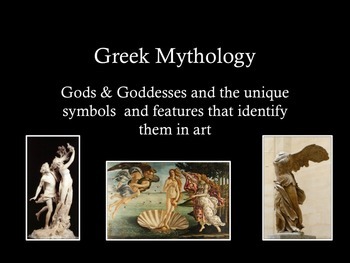 These PowerPoints explore the achievements of Greek Art and highlights the key works that changed the history of art.